↑ "Swedish Rite FAQ"". Grand Lodge of British Columbia & Yukon. ↑ Jack Buta. "The God Conspiracy, The Politics of Grand Lodge Foreign Relations". Pietre-Stones. 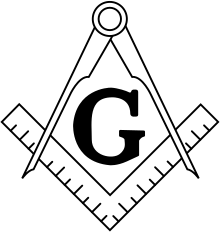 （-freemasonry.com/masonic_foreign_recognitions.html 原先內容 檢查|url=值 (詳情)喺2013年8月24號歸檔）. 喺2019年2月11號搵到.